After many years of teaching Algebra, I often know when my students are going to hit a road block with new material. In order to avoid the same pit falls and slow downs, I now plan ahead–what a concept! My Algebra 1 class is currently working on graphing linear inequalities— a concept that they understand until it is time to graph their answers. As you may recall from your own algebra days, you have to first graph the line and then shade the region above or below the line. In any case, I want to make sure that they not only learn and understand the lesson, but are able to apply and transfer this information when needed. I began by reviewing the lessons on graphing linear equations and graphing inequalities. These lessons are a must in order to move on. We then went on a mini-field trip to the outdoor basketball courts. We took with us a rope, colored chalk, and worksheet. 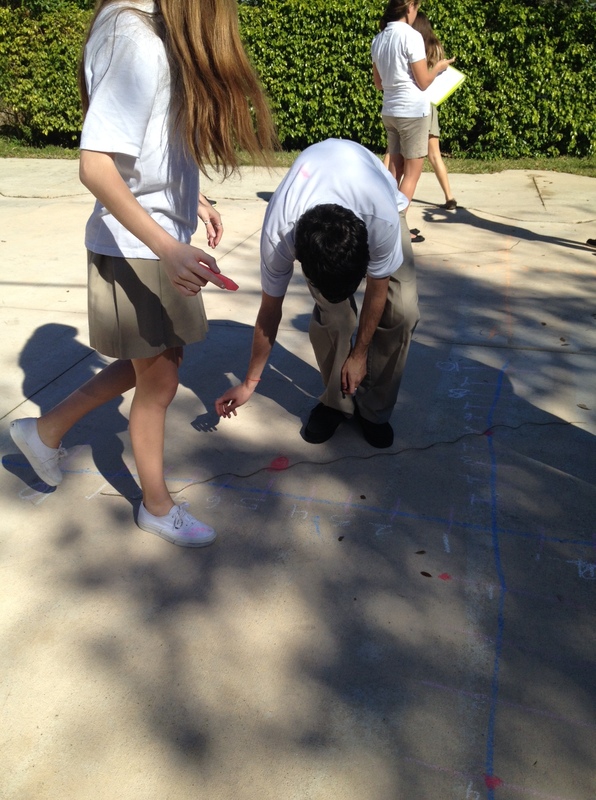 The students had to first create a life-sized Cartesian Plane, more commonly known as an X & Y graph or Coordinate Plane. Then, they were asked to solve a variety of problems and graph the inequalities using the rope as the line and their bodies for the shaded region. Although this activity took longer than a simple worksheet done in the classroom, it provided a hands-on approach to learning. 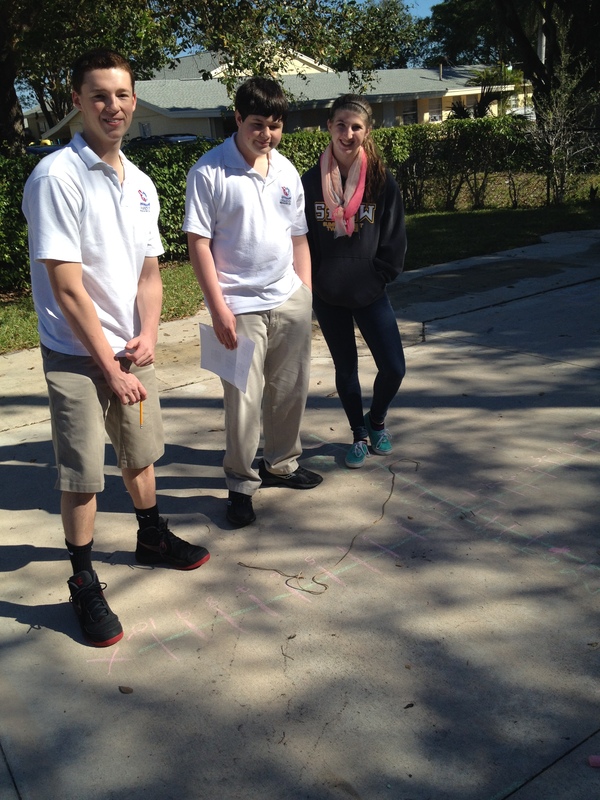 The students had to physically walk the graph, visually see the line (symbolized by the rope) and then stand in the region that needed to be shaded. They were able to solve the problems and then see their answers. As a teacher, it was great to see them walk the wrong way and then realize that the answer was negative and they had walked up the y-axis instead of down. Just to hear my students talk about math made the lesson a success. 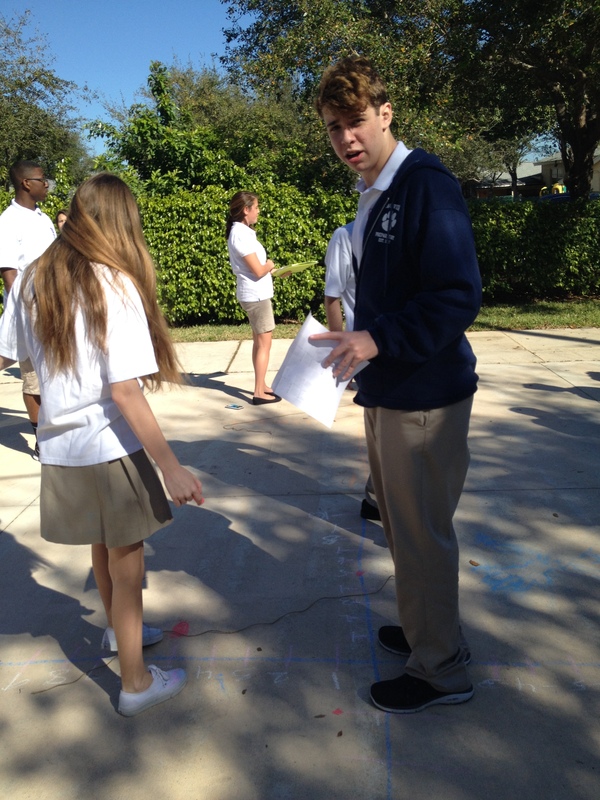 They were able to then transfer the human-size graphing activity and make connections to their classwork and homework. On the test for this unit, I had several students ask if they could “walk it out” to double check what they had done on paper. I am always trying to plan ahead and figure out new ways to help my students learn and have fun in the process. Over the years, I have realized that when I have fun, my students have fun and they learn more. Which just so happens to be one of my ultimate goals! Tags: algebra, Experiential learning, teaching. Bookmark the permalink.